A friendly, family run Bootsale. 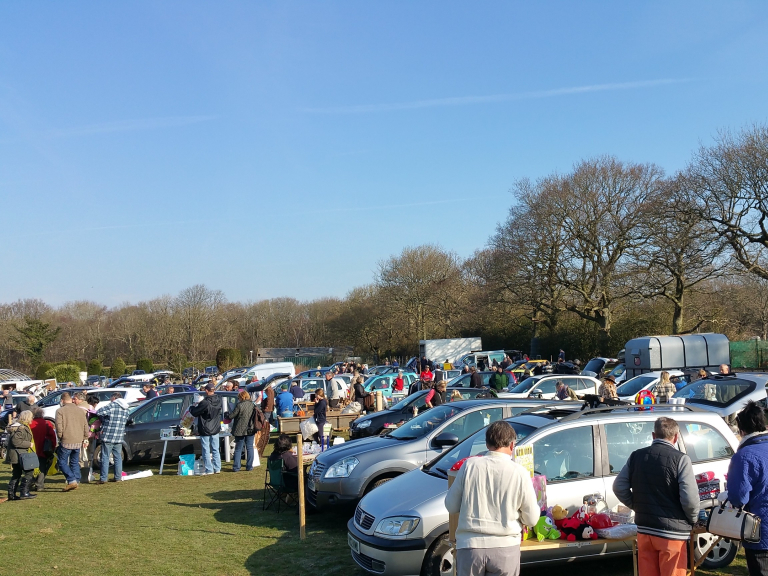 At Halland Car Bootsale we can offer an abundance of buyers looking for hidden treasures and many stalls offering a huge variety of items for sale. Every Saturday (weather permitting). Sellers can arrive from 7:45 but will be parked up until gates open at 8:30am, buyers will be permitted entry after all sellers have been pitched up. Parking only 50p per car. Pitches from only £9 for a car or MPV's and £10 for a car + trailer and £14 Transit vans or bigger. Pitches are 5m long, however if you have any special requirements please contact us. We are just south of Halland on the A22 between Halland & East Hoathly. Hot and Cold snacks are available. Dogs are welcome but please keep on a lead and clear up any mess and take home. The owners accept no responsibility for any loss or damage to any vehicle or personal injury whilst visiting the venue. Any unsold items can be left but please contact the organizers first.